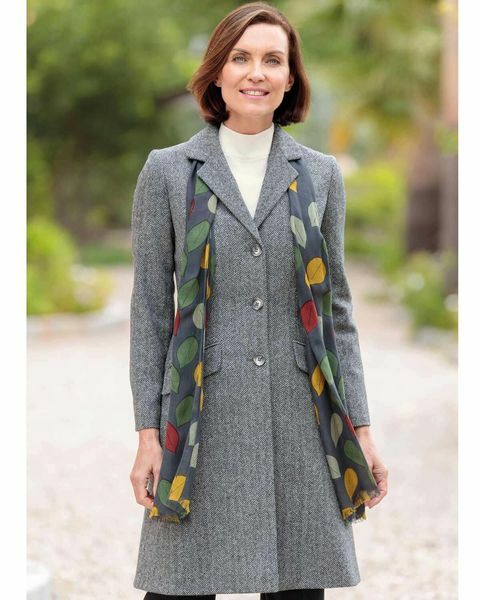 Ladies Winchester Coat. Woven from soft pure Shetland wool. Woven from soft pure Shetland wool in a stylish black and white herringbone design. Fully lined three button fastening style with jetted and flap pockets. Versatile three quarter length style with back vent. This classic coat adds an elegant touch when finishing your outfit and will easily go with almost any colour.